At present there are two key determinants of the trajectory of equity markets: US inflation and the Fed’s reaction to it; and growth in China. This paper focuses on the first of these issues. 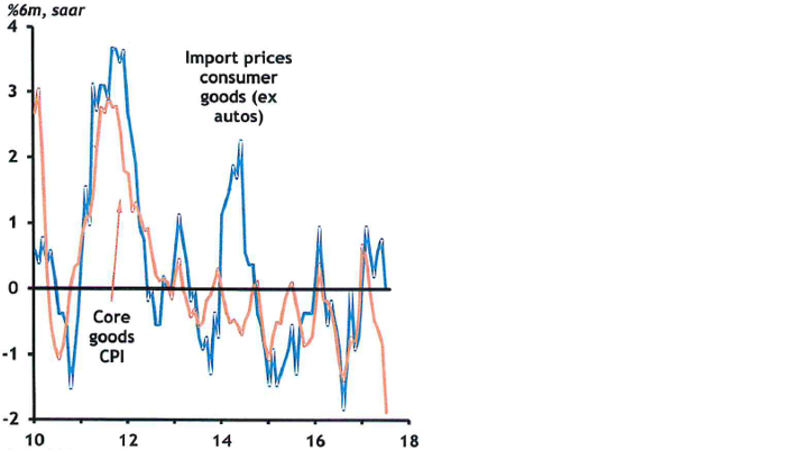 Our analysis suggests that the global inflation outlook will remain benign, which should result in a dovish Fed under new Chairman Jay Powell. When combined with a modest acceleration in global growth, the outlook for equities remains attractive, most notably in Asia and Emerging Markets. Trump’s proposed fiscal expansion will likely amount to about $1.5 trillion over the next 10 years as a larger package would surely be constrained by existing laws on the fiscal budget. The multiplier effect of such tax cuts is unlikely to be high, and we expect the overall impact on the economy to be relatively limited. Assuming a multiplier effect of 30%, a reduction in taxes of $150 billion in each of the next ten years is not particularly significant in an economy where output is expected to average $24 trillion over this period. With the bulk of the tax cuts aimed at businesses, it has been argued that the corporate sector will pass on the benefit to employees via higher wages, to consumers via lower prices, or to stock holders through dividends and buybacks. Alternatively, companies could use the windfall to increase investment, which would have greater long-term significance. 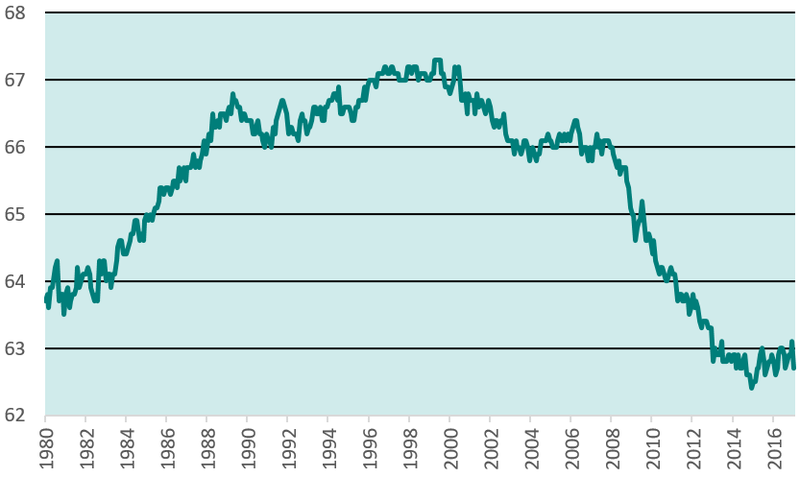 However, it is difficult to argue that companies are somehow restricted from increasing investment today. In many cases corporate balance sheets are already flush with cash. Moreover, the cost of capital has rarely been cheaper, with low interest rates and credit spreads, and high P/E multiples. It is therefore hard to see why tax reform would prompt companies to substantially increase investment. Meanwhile, the proposed tax cuts would appear to have little net benefit for the household sector as reductions in the headline rate will be largely offset by changes in deductibles. Thus, the overall impact of this relatively modest tax cut on economic growth and inflation is likely to be extremely small. Just as the US government begins to expand its fiscal policy, the Fed will start to shrink its balance sheet. 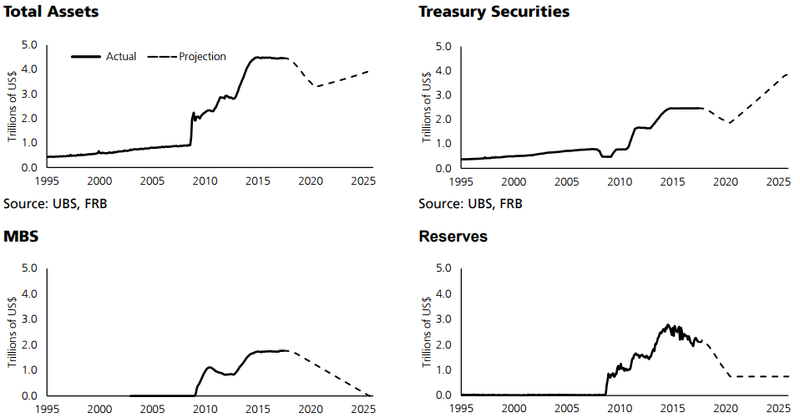 The central bank’s balance sheet has grown from $865 billion to $4.4 trillion over the past decade, but we should expect this number to fall by approximately $1.2 trillion over the next two to three years. 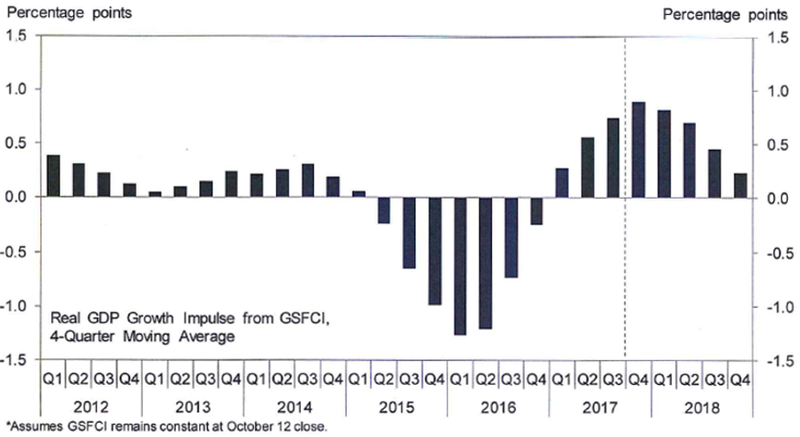 According to the Fed’s own estimates, this reduction should result in a relatively limited tightening of financial conditions, equivalent to a tightening of short rates by some 20 basis points. After this short period of balance sheet reduction, we expect the central bank to begin buying Treasury securities again, expanding its balance sheet in line with a growing economy. While the ultimate impact of fiscal expansion and Fed balance sheet reduction on monetary policy is likely to be small, the more important issue is whether the central bank will step up its pace of rate hikes. 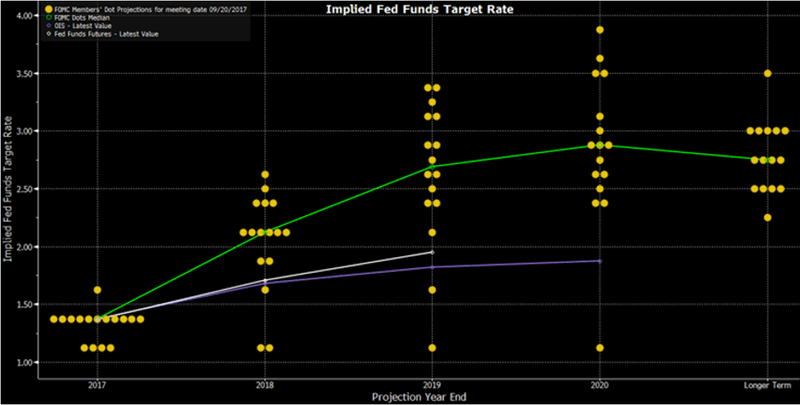 The Fed’s “Dot Plot” – shown in green below – suggests that the central bank’s governors expect to raise rates three times in 2018. As can be seen from the purple line below, the market disagrees, expecting the pace of tightening to be slower. Over recent years the actual increase in the Fed Funds rate has been more gradual than the Fed expected, and the market’s forecast has been closer to reality. We think this will continue to be the case. Indeed, the appointment of Jay Powell as Chairman of the Fed from February 2018 is likely to represent continuity with Yellen, reducing the potential for a significant change in policy. Moreover, benign inflation is likely to reduce the need for rapid rate hikes. We not expect the Fed’s primary inflation gauge to rise above 2.0% in 2018, and believe that it has only a 30% chance of doing so in 2019. This is because goods prices, which are 30% of total inflation, are flat, while the two biggest elements in services prices are moving in opposite directions. Similarly, other important elements of inflation such as wages do not appear to be under any material upward pressure. While the unemployment rate has fallen to a low level, this overstates the tightness of the labour market. Lower participation rates, particularly among prime age workers, plus many part-time and casual workers who would value more permanent employment, suggest an increase in demand for labour could be accommodated without much upward pressure on wages. In fact, there is evidence that the historical relationship between lower unemployment and higher inflation has broken down completely. The left chart below shows the relationship between unemployment and average hourly earnings, while the chart on the right illustrates the relationship between unemployment and the Employment Cost Index. 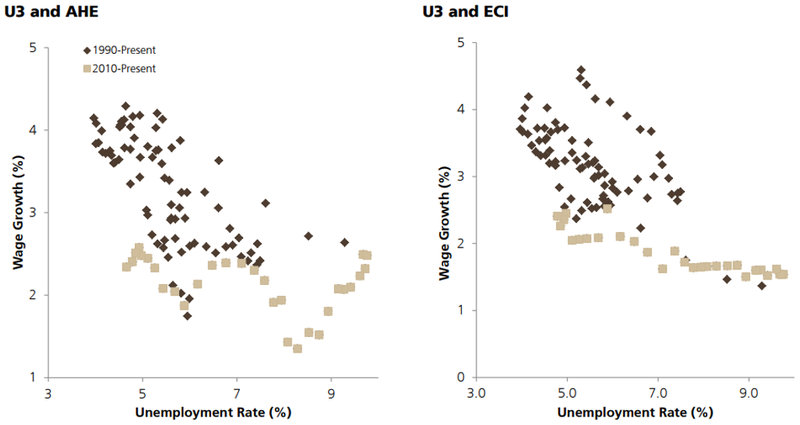 Whereas falling unemployment was historically well correlated to rising wages, the same cannot be said since 2010, suggesting that the so-called “Phillips Curve” has become flat. This apparent breakdown is partly explained by the increasingly international supply of labour. Whilst wages and inflation may have risen in the past as firms competed to attract scarce workers in a finite pool of domestic labour, freer movement of workers across international borders may have undermined this trend in recent years. In addition, there seems to have been a behavioural shift as workers have reacted with a lag to the threats from globalisation, labour-saving technological advances and the insecurity induced by the Global Financial Crisis. Put simply, they now place greater value on keeping their jobs than increasing their wages. Thus, there appear to be structural reasons why inflation will take longer than expected to hit the Fed’s target of 2%. Furthermore, it could be argued that the Fed should delay significant monetary tightening until inflation is substantially above the current target, perhaps setting a new goal of 4% inflation. The reason for this is that the 2% target is dangerously close to the zero bound. That is to say, if the economy experiences a negative development and requires monetary easing, the Fed has limited scope to stimulate the economy before interest rates reach 0%. In this scenario, the costs in terms of lost output and potential policy failure are extremely high. Conversely, the risks associated with a slower pace of tightening that results in inflation overshooting the current target of 2% would appear to be limited. With the present inflation target of 2%, the Fed is fast approaching what they regard as the neutral rate of interest. Further hikes will soon shift monetary policy into restrictive territory. However, some economists argue that this view is too narrow and that financial conditions should be considered more broadly. 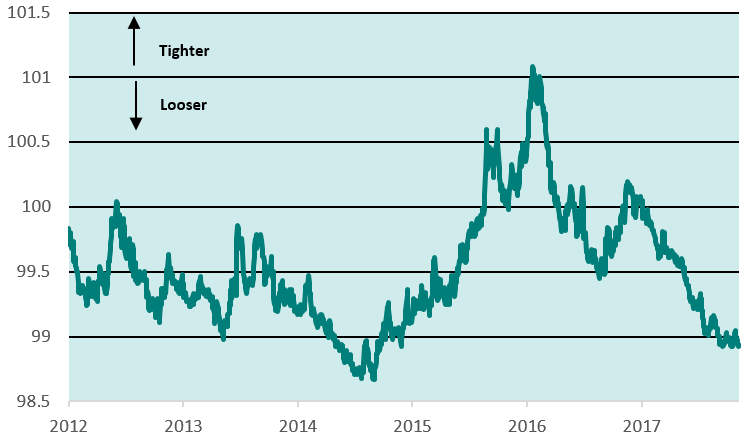 As can be seen below, a broad-based Financial Conditions Index does indeed demonstrate that conditions remain highly accommodative, despite recent rate hikes. This suggests that there is greater scope for the Fed to increase interest rates further and faster. We are unconvinced by this argument and continue to believe that the pace of rate hikes will be extremely gradual for all the reasons outlined above. Importantly, we also believe that the European Central Bank and Bank of Japan remain some way off tightening monetary policy. In our view, the ECB’s quantitative easing programme is highly likely to continue beyond September 2018, albeit at a reduced level. Mr Draghi recently reiterated guidance that the first interest rate hike will only occur after a considerable period following the end of asset purchases, taking us well into 2019 and probably 2020. Meanwhile, the Bank of Japan continues to have a 10-year bond yield target of 0%. 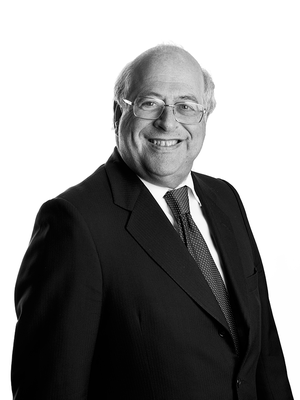 It recently acknowledged that risks to its inflation forecasts are to the downside, with the newest board member urging an even easier monetary policy stance. While the world’s central banks look set to maintain loose monetary policy, the synchronised acceleration in global economic growth that has been underway since mid-2016 should also continue. Indeed, despite President Trump’s pre-election claims, the volume of world trade is picking up, and GDP growth could accelerate further if anaemic capital investment increases. This so-called Goldilocks scenario of accelerating economic growth and easy monetary policy is ideal for equity investors. Of course, if inflation begins to pick up, the case for faster rate hikes will gain traction, and we must continue to be cognisant of this risk. For example, we will continue to carefully monitor the supply/demand dynamics of various commodities, which are often useful leading indicators to watch. But until evidence of rising inflation emerges, we remain bullish on equities, particularly in Emerging Markets. Stronger economic growth, faster global trade, and modest rate tightening without meaningful dollar appreciation all bode well for EM equities. They also trade at an unusually wide valuation discount to their Developed Market counterparts, despite being the biggest beneficiaries of the prevailing macroeconomic environment.